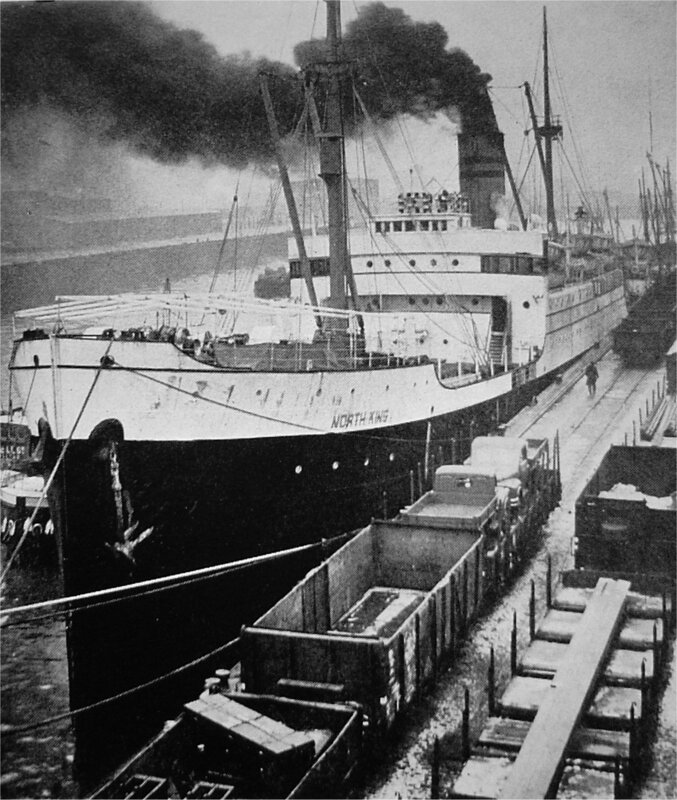 Chartered by the War Shipping Administration (WSA) from Campania Diana de Vapores S.A., 30 December 1941, at New York, N.Y. Returned to Campania Diana de Vapores S.A., 26 February 1946, at New York, N.Y. US Navy photo # NR&L(M) 4263 from DANFS. Joe Radigan MACM USN Ret. 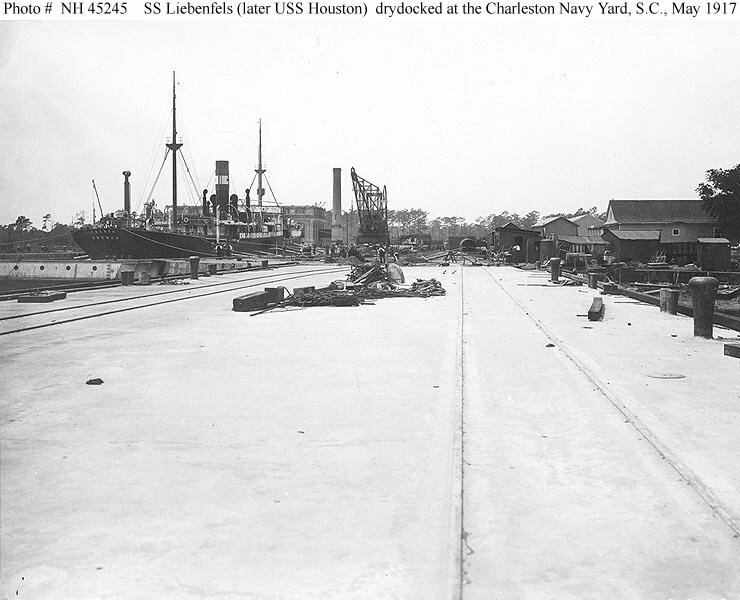 75k Houston at Charleston Navy Yard, Charleston, S.C.
View from Pier 314 (reinforced concrete dock), looking inland, 1 May 1917. 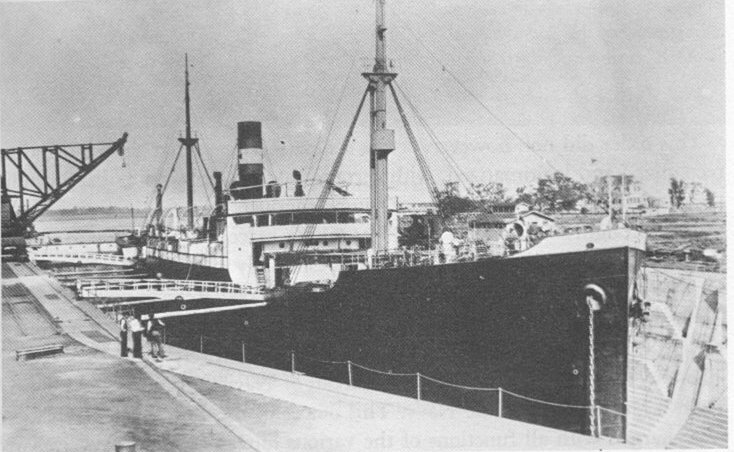 The former German freighter SS Liebenfels is dry docked at left. 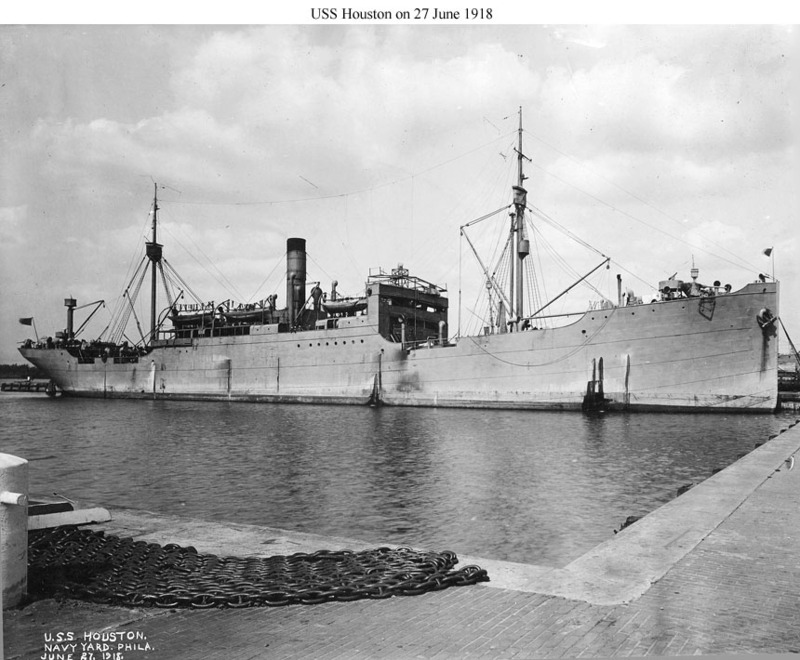 She was commissioned as USS Houston in early July 1917. 124k Houston in dry dock at Charleston Navy Yard, while undergoing conversion for Naval service, 6 May 1917. 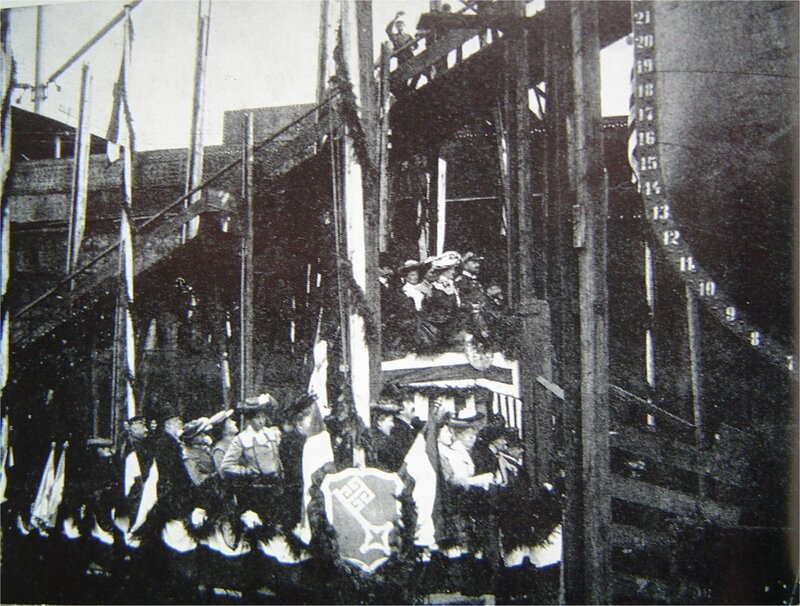 Note dredge in the right distance, and timber stores in the foreground. 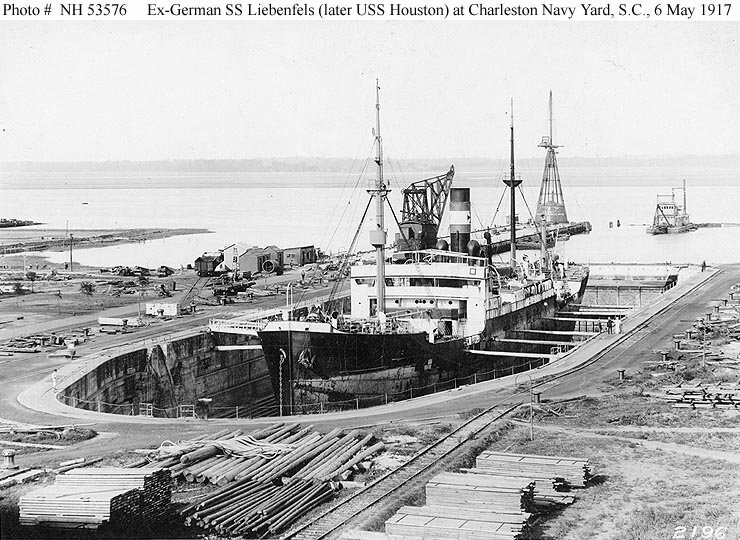 275k Houston at Charleston Navy Yard, 2 July 1917, following conversion from the ex-German freighter Liebenfels. Note the station ship Hartford is in the distance, beyond Houston's bow. 51k USS Houston at Charleston, S.C., 18 April 1918, with Navy Coal Barge No. 213 alongside. 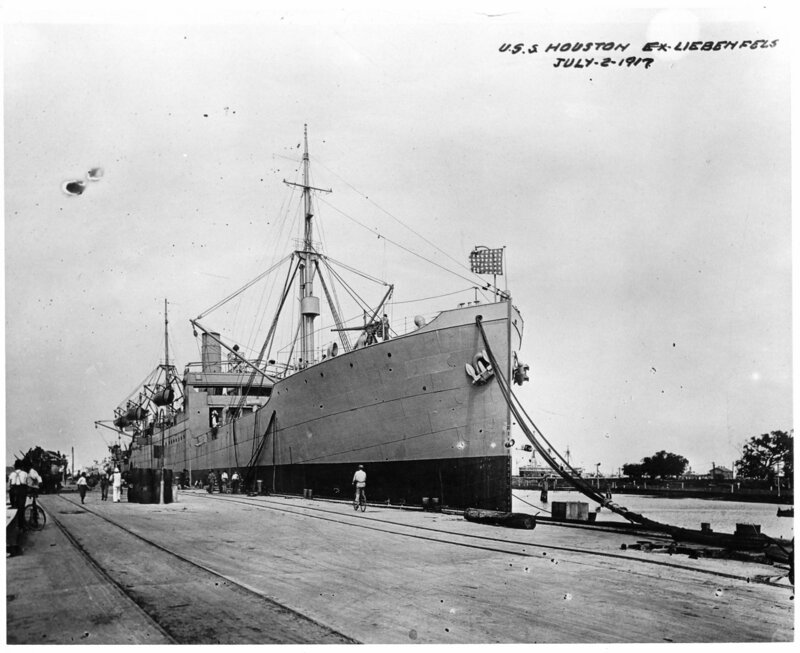 158k USS Houston moored in the Philadelphia Navy Yard, 27 June 1918, one month before being designated (AK-1). Note the stump mast or kingpost on the poop. 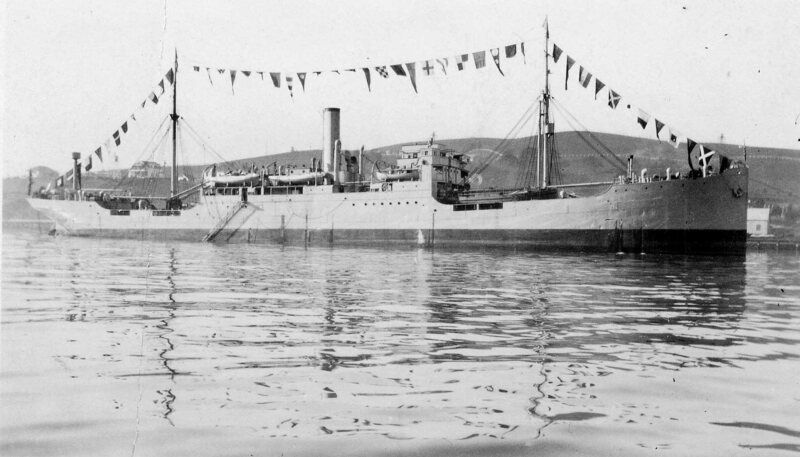 185k Broadside view of USS Houston (AK-1) San Francisco Bay, circa 1922. 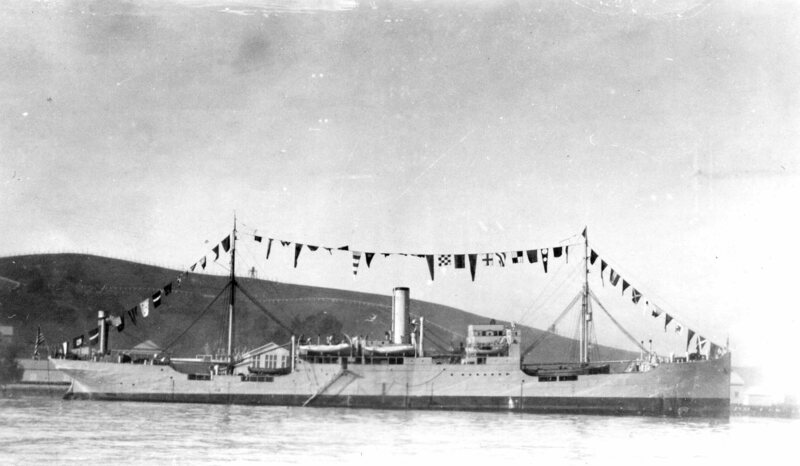 159k Broadside view of USS Houston (AK-1) in San Francisco Bay, circa 1922.